Last week we lost a classic member of the Greatest Generation—and one of my special heroes. In WWII Mitchell Flint answered his country’s call and became a decorated Navy fighter pilot in the Pacific war. 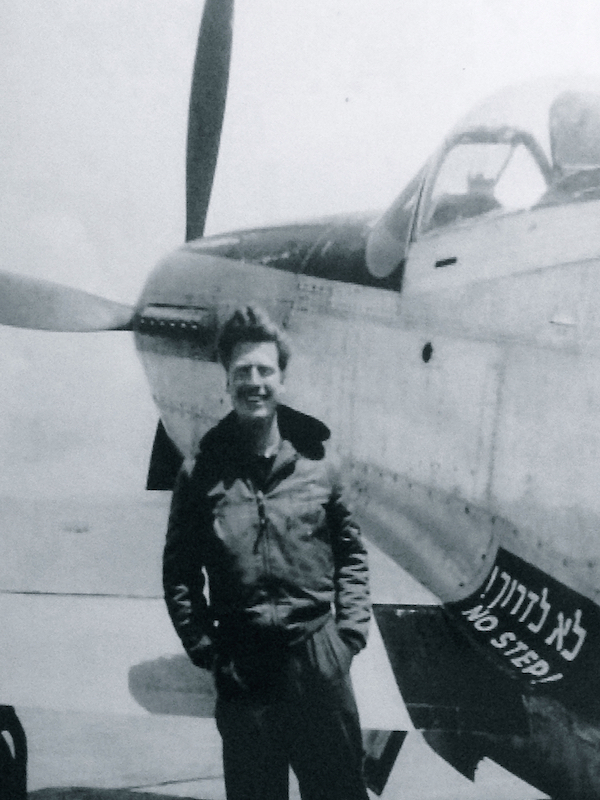 Three years later Mitch answered another call: He joined a ragtag band of volunteer airmen who went to the newly founded nation of Israel, which was under siege by five invading Arab armies. Flying a mishmash of contraband warplanes—Messerschmitts, Spitfires, Mustangs, T-6s —Mitch and his fellow volunteers achieved a miracle: They saved the new nation. In his later life Mitch was a successful lawyer, a father, a commander in the Navy Reserve. Until his death last Saturday at age 94 , he remained what he had always been: a modest, patriotic, and kindly gentleman. My book, Angels in the Sky, is dedicated to Mitchell Flint. So long to a great American.